Each new – and not so new – technology trend brings its own language, complete with acronyms, jargon and marketing-speak. Consulting services website Connet lists more than 3,000 computer acronyms. Here we are going to focus on one of tech’s current hot topics: Low-code high-productivity application development platforms. Acronyms are flying: RMAD, RADP, LCDP, MADP, hpaPaaS and more. Some of the acronyms may be new, and marketers are spinning the terms “low-code” and “high-productivity” in new ways, but these technologies have been around. For a long time. You could say that almost every innovation in software is about “low code” and “high productivity.” Even going all the way back to 1972, when the programming language C came on the scene it was a radical departure from predecessors COBOL and FORTRAN in terms of the amount of code required and readability. Another significant breakthrough in usability came in 1981, when James Martin coined the term 4GL (Fourth Generation Programming Language) in his aptly titled book, Application Development Without Programmers. 4GLs aimed to enhance programmer efficiency with a more natural language syntax and tooling that utilised GUIs (Graphical User Interfaces). Some even argue that modern low-code tools are simply the current evolution of 4GLs. So why is the tech community so focused on these platforms now? With the amount of data growing exponentially, and with virtually everyone carrying a digital device, the pressure to develop applications to put all that data to good use has never been greater. At the same time, while demand for developers keeps growing, the size of the talent pool isn’t keeping pace with that demand. 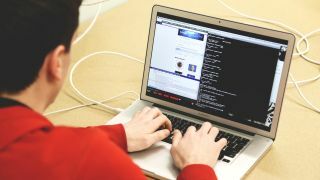 Recent research by The App Association estimates that nearly 250,000 developer jobs remain unfilled today in the US alone, with that number expected to triple in the next three years. Progress conducted a survey of more than 5,500 web and mobile applications developers to gauge their workloads and sentiment about low-code, high-productivity platforms on the market today. With 39 per cent of developers expected to build 2 to 4 new apps in the next 12 months, and 14 per cent expected to build 5 to 10 new apps over the same period, the survey validated that developers indeed face greater pressure than ever to produce apps – fast. That same survey also showed some scepticism among developers about these platforms. Two-thirds (66 per cent) had negative feelings about them mostly due to loss of control of their code. But with market researchers expecting explosive growth in this arena the next few years, these platforms are here to stay. According to new research by MarketsandMarkets, their market size is expected to grow from $4.32 billion in 2017 to $27.23 billion by 2022, a compound annual growth rate of 44.49 per cent. That means a lot more developers are going to be using these platforms – like it or not. Sorting through the hype is no easy challenge, as even the definitions of “low-code” and “high-productivity” themselves seem muddled. Although the term “low-code app development” is fairly new, as mentioned before, the concept is not. Rapid Application Development (RAD) has been around for well over a decade, and Business Process Management (BPM), the ongoing methodology to automate all ad hoc business processes, first gained popularity in the 1990s. Today’s low-code solutions aim to extend the benefits of Application Platform-as-a-Service tools (aPaaS), accelerating app delivery by alleviating the need for developers to spend time manually coding an app from scratch that is made up of common features and components by providing templates to drag-and-drop pre-built elements and objects. And then there are no-code platforms, gaining in power and popularity and blurring the line with low-code. The premise is simple—give developers the tools they need to quickly create, as well as run applications—but the language surrounding it is anything but. Take hpaPaaS (High-Productivity Application Platform-as-a-Service), a visual, model-driven approach to enable a broad range of individuals to build and deploy apps, including citizen developers. Not to be outdone by hcaPaaS (High-Control Application Platform-as-a-Service), high-productivity platforms geared to professional developers, giving them more control over their work. And don’t forget about the backend and frontend components that make up these solutions. When it comes to the backend, acronyms and marketing-speak abound. Some analysts have coined the term “serverless” to describe the infrastructure, as well as cloud-native solutions and microservices. In the acronym department is the umbrella under which you’ll find (BaaS) Backend-as-a-Service or (FaaS) Function-as-a-Service. On the frontend, things haven’t changed much. Developers still must build apps that deliver a pleasing user interface for a good user experience (UI/UX). Most of the solutions provide point-and-click and drag-and-drop capabilities to speed development. And most also allow for easy integration of APIs (Application Programming Interfaces) so the app can assimilate different data and capabilities.